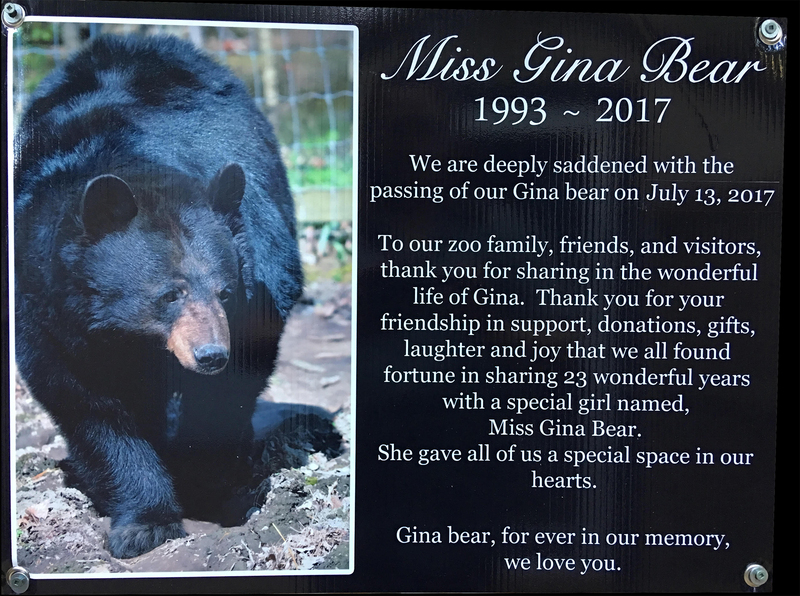 Gina is by far the biggest celebrity at the zoo with visitors who have been coming to see her for over 20 years. Some visitors who have visited Gina as children are now bringing children of their own to see her. Now at 23 years old, our girl has started to slow down but is spoiled more than ever. 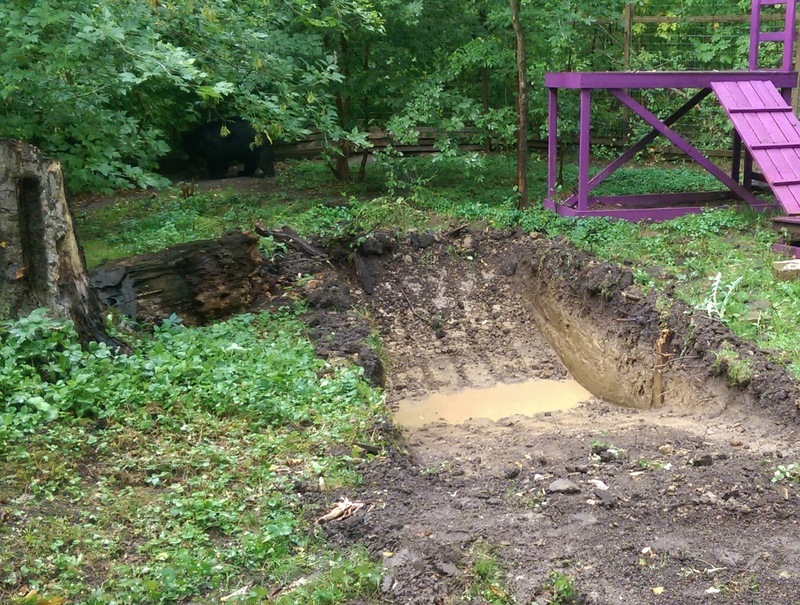 A brand new pond has been dug out for her, as one of her favourite things in the hot weather is her water bath. Gina’s favourite foods are salmon, grapes, and ice-cream. The American black bear is the smallest bear in North America. 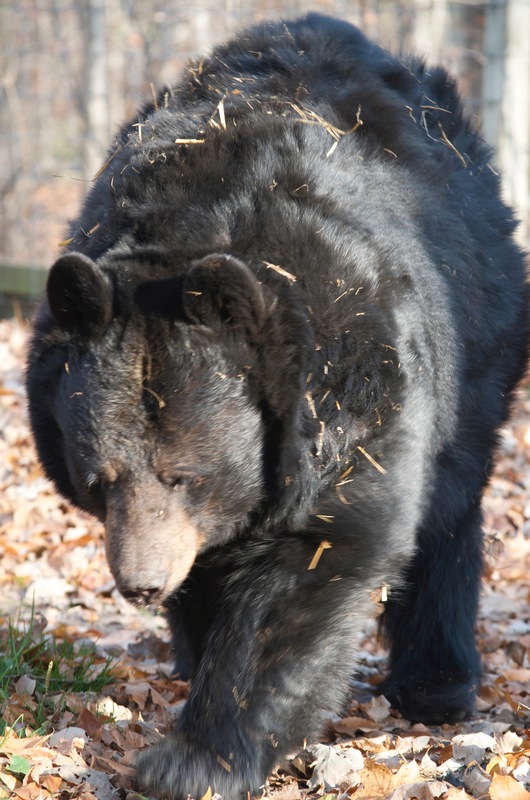 Being omnivorous, the black bear has a large diet both in variety and abundance during the warmer months. Most of a bears diet consists of vegetation, fruits, nuts, insects, and fish. 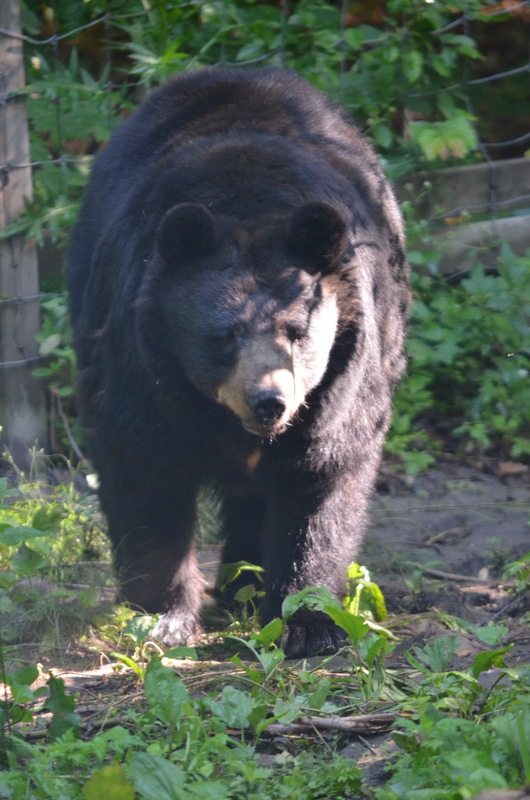 During the winter, black bears typically hibernate for 3-5 months where their internal body temperature is lower and their heart rate slows from 40-50 beats/minute to 8 beats/minute. During this time the bears do not eat or drink. A bear’s strongest sense is smell, being seven times greater than a dog.